Apple has officially released its new generation phone; Iphone 7 and Iphone 7 plus to fans across the world . Wang Silcong, son of china's richest man and 18th richest man in the world, Wang Jianline (estimated worth $30 billion) bought his dog coco, eight 1phone 7 handsets on the day of their release. 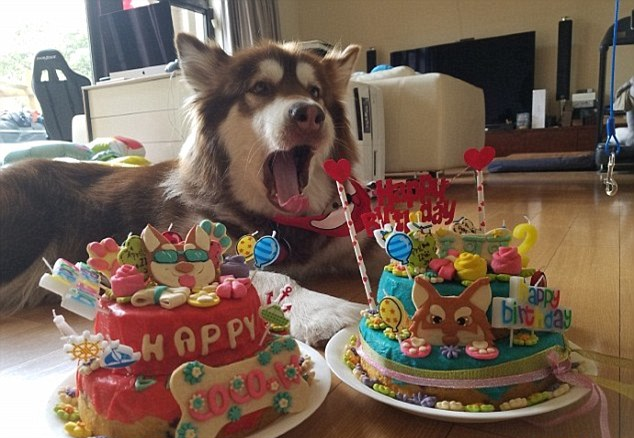 The photos were shared on the dog's social media account which is verified with 1.9 million followers. 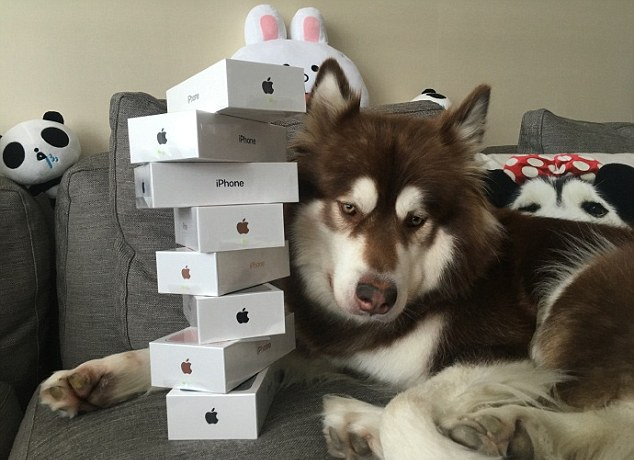 In 2015, he attracted widspread outrage in china after sharing photos of the dog wearing two Apple watches with luxury brands worth upwards of $37, ooo.